Make your little girl look even more adorable as you dress her up in this sleeveless frock from the house of Dew Drops. This frock is soft and super comfortable to wear. Back button closure and easy pullover style provides fuss free dressing. Designed to excellence, this printed frock will go well with sandals and hair band. the product is satisfactory.i daughter loved it. 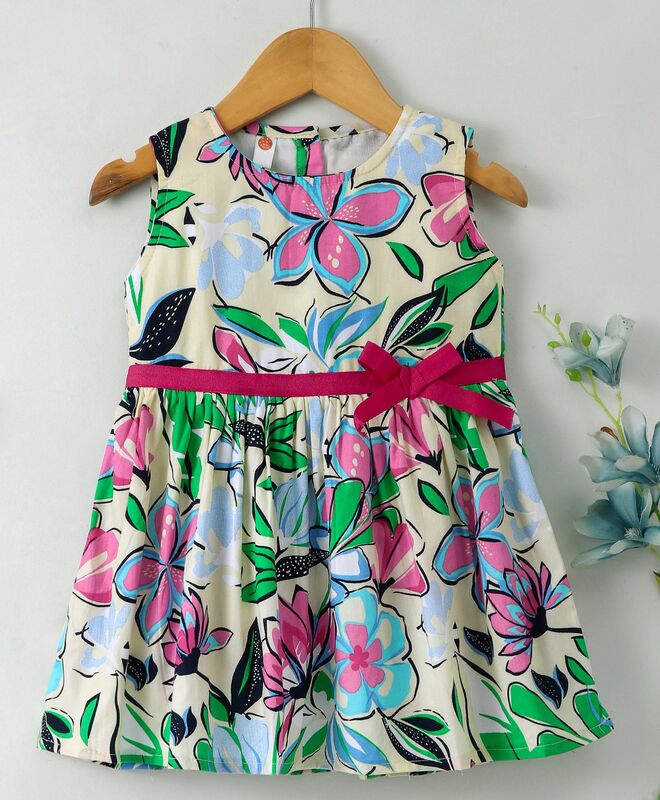 because of its vibrant print.quality is good but finishing is not up to the mark.the blue ribbon in the waist was lightly torn in my product but as my daughter was excited very much so didnt changed it. "good cloth......but not fit at all while my baby is not at all fatty"
"Great product. My daughter loved it." Very good quality. Would love to buy again.